Hi Jose – just got another new swarm of bees on the farm. Just this afternoon I heard more buzzings and all around Block 13/14 were lots of bees….bees, bees. They finally settled down on Row 3, Vine 7 of Block 13. 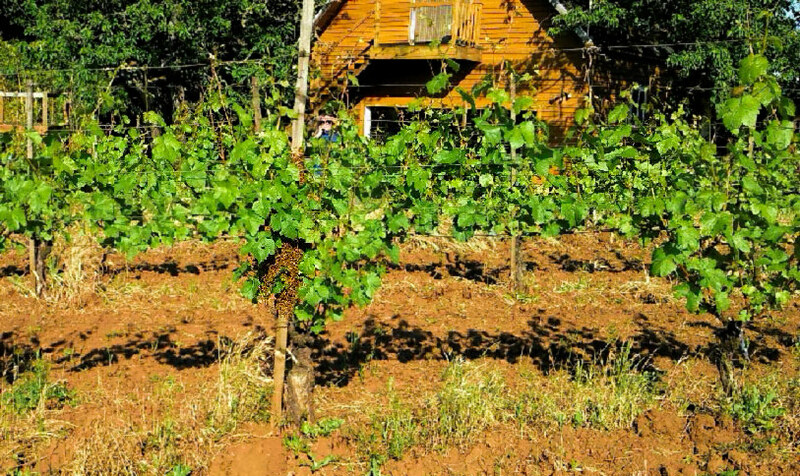 I am sure they are temporarily here but will take pictures of them as they continue to make their hive/home on the grapestake and Chardonnay vine. Sunny day and now a little cloudy sunset as they back up into each other for warmth, protection and feeling their direction. 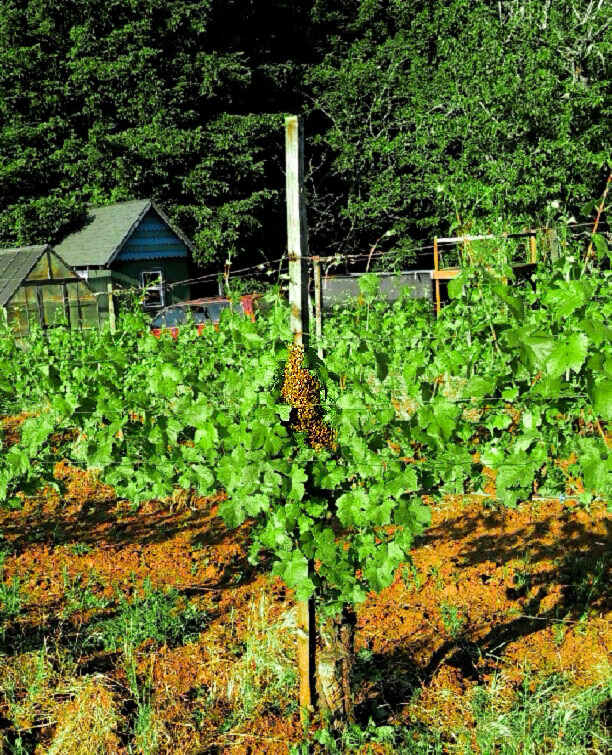 I witnessed this last month from the temporary hive in the old cherry tree so know these bees won’t be long for staying in the vineyard but for now it is exciting as I watch and wait for their swarming to a hive of their own. It might take them a week but I know, now, that they are just temporary neighbors who I appreciate as the blackberry vines that surround the farm and vineyards are coming into bloom which will give them some feast for their hive until they find their spot on the farm, somewhere nearby. I can manage the vineyards, the retreat, the tasting room, and the rest of the farm but the native bees bring me excitement and surprise of their increasing presence on the farm. We have many natural places on the farm for their hives – may they thrive!